The USDA reports that “Farmers have made good progress in reducing sediment, nutrient and pesticide losses from farm fields through structural and/or management practices to control erosion.” The most common conservation practices in the study are reduced tillage and buffers/terraces. Buffers or terraces are used on almost 50% of cropland. 88% of the land in the study is managed with some form of reduced tillage. The study applauds statistical reductions in edge-of-field sediment loss, loss of nitrogen in surface runoff and in subsurface flows, and loss of phosphorus. However, there are still critical concerns about the amount of nutrient losses from cropland in the area, especially a concern about nitrogen loss in subsurface flows. In a further breakdown of conservation practices needed, the study mentions managing nutrient application – focusing on the “appropriate rate, form, timing and method of application” is needed, as each of these variables effects soil erosion and loss of nitrogen through leaching. Many of the findings read as somewhat vague, especially as the growing season begins to get busier and we’re constantly tackling practical challenges on the farm. One interesting graph demonstrates that “conservation practices that address only surface nutrient loss and soil erosion can exacerbate subsurface nitrogen losses.” It seems it has been easier to get farmers to voluntarily adopt erosion control/buffer zones through incentive based programs than it has been to alter nutrient application timing and methodology. 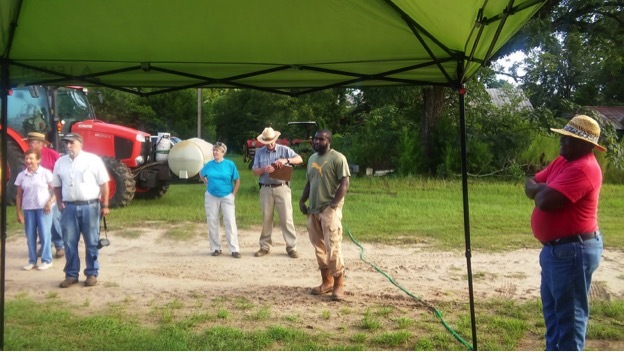 For example, the NRCS would, as a general rule, like to see farmers in the region increase the number of nutrient applications and apply less on each date.